Learn the Internal fixation of middle phalangeal (P2) fracture using Synthes compact hand set surgical technique with step by step instructions on OrthOracle. Our e-learning platform contains high resolution images and a certified CME of the Internal fixation of middle phalangeal (P2) fracture using Synthes compact hand set surgical procedure. Middle phalangeal (P2) fractures are increasingly common perhaps reflecting a more active population increasingly enjoying various sporting, leisure and DIY activities (though enjoying is perhaps not the best adjective to apply to DIY). It is no longer appropriate to expect patients to accept digital deformities that interfere in their social and recreational lives. 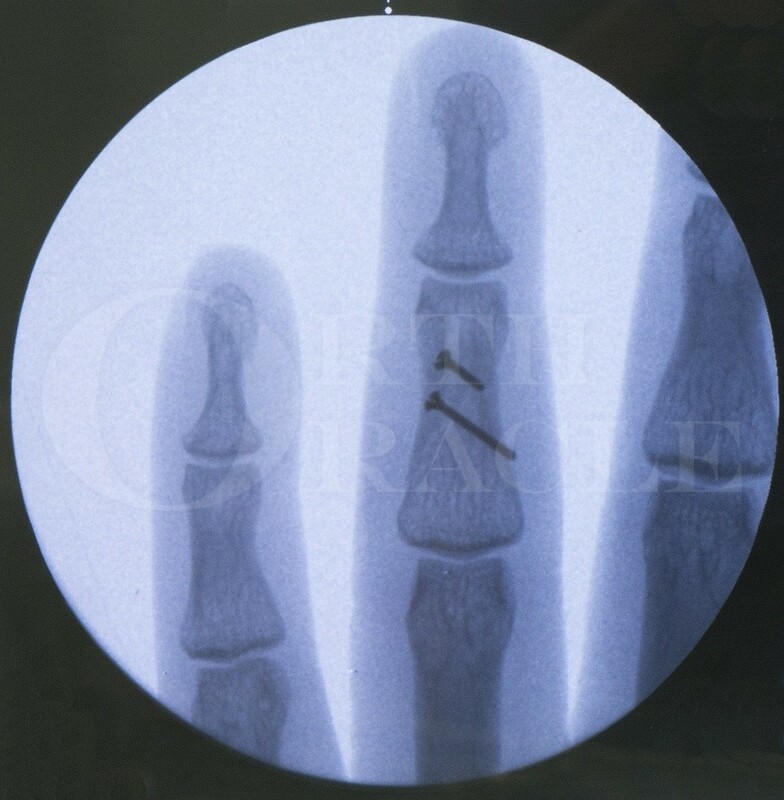 Surgical fixation of these fractures has become popular over the last few decades. A number of factors such as better implant design, understanding of fracture biomechanics, availability of intra-operative fluoroscopy, increasing patient demands and specialist Hand Units have all revolutionised the treatment of these common hand injuries. Consultant Hand Surgeon, Queen Elizabeth Hospital ,Birmingham ,UK.